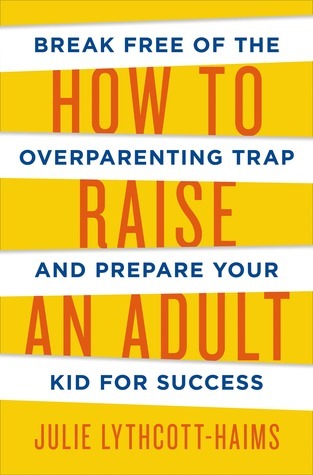 If you’re a parent who wants to raise your child to be self-sufficient, independent, and responsible, How to Raise an Adult: Break Free of the Overparenting Trap and Prepare Your Kid For Success is the book for you. In this book, author Julie Lythcott-Haims doesn’t just give you advice on parenting; she backs each piece of advice up with evidence from child psychologists, case studies, and research papers. We’ve compiled a list of actions you can try out with your children, starting today, to ensure their success as future adults. So, pick one and try it out! Julie Lythcott-Haims served as Dean of Freshmen and Undergraduate Advising for over a decade at Stanford University, where she received the Dinkelspiel Award for her contributions to the undergraduate experience. A mother of two teenagers, she has spoken and written widely on the phenomenon of helicopter parenting, and her work has appeared on TEDx talks and in Forbes and the Chicago Tribune. Refrain from letting your presence be what protects your children. Be aware of the overblown fear of strangers. Allow your children to dream. Help your child mature to a point where they can make commitments to adult social roles. Give your children unstructured time to play freely. Create a culture of free outdoor play. Give your children the freedom to think for themselves so they can develop critical thinking skills. Teach your children to think about more than themselves. Help your children build a work ethic. Be a better parent by looking after yourself.